Mobile Phones Fan: Google Buys Gold's Gym...Revenge of the Nerds? Do Larry and Sergey have interns lift the weights for them? 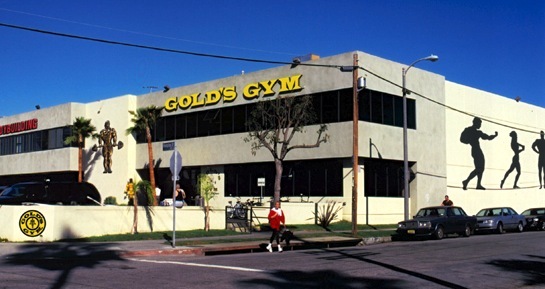 BloggerJason Stern reports that Google has inked a deal to buy Gold's Gym. Yes, that wacky crew of Silicon Valley propeller heads will soon own the world's most famous monument to sweat and muscles. But they didn't buy the Venice, California, icon as a going concern. Instead, Stern says they bought Gold's for the real estate...and possibly because they drove past it every day. 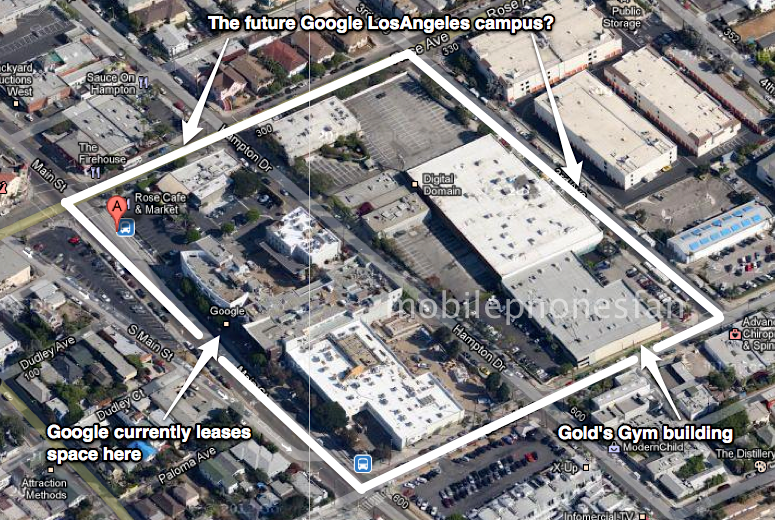 Late last year Google leased 100,000 ft² on Main Street, in downtown Venice. No ordinary office complex, they chose a very hip spot, popular with tourists. It's historic, too, with buildings -- one of which is shaped like giant binoculars -- designed by Frank Gehry. Reportedly, the Googlers like their new digs. Check back in a year or two, see if we got it right. For their part, Google's not talking. A spokesperson said, "We have no immediate plans to expand." But with Gold's official closing scheduled for 2014, 'immediate' was never on the table. And even if Google did plan such a move, they'd be crazy to let word get out to nearby property owners before everything is sewn up. Still, why buy rather than leasing more space, as needed? 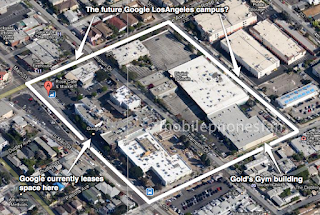 MobilePhonesFan thinks a new Los Angeles campus could help Google to attract and keep new talent. With the company's stock hovering near ~$600 for the past year, gone are the days of promising big gains on newly vested shares. Also, the high costs of housing in Silicon Valley makes Los Angeles real estate look cheap. Moreover, human nature means it's easier to pitch jobs on company turf over those hosted in temporary space, if not for better atmosphere (or amenities) than certainly for bragging rights. 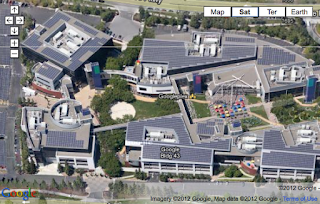 What looks better on your résumé: "I worked at Google's Los Angeles offices" or "I worked at the new Los Angeles Googleplex"? We rest our case.